The front door is a powerful part of any building. For public residencies, it can show personality, design and change an ordinary house into a home. When choosing an entry door, it is important to let your design aesthetic shine through and look to create a lasting impression on anyone who may walk through. The latest trends include vibrantly colored panels, glass accents and intricately carved wood designs although classic accents like solid fiberglass and stained glass still exist. Wood - If you want a detailed piece of art envied by the entire neighborhood, think wood. It can be stained, carved and produced in a multitude of varieties from pine to mahogany to cherry. Decorative accents such as glass and side lights are also easy to be added through this medium. Fiberglass - Fiberglass doors are a physically stronger option than that of wood. The can take on damage and destruction without incurring dents. Their insulated core also provides extra protection against the elements. Though a bit more costly, they pay off in the long-term for their energy efficiency and stability. Steel - The safest of the three door options, steel doors are highly insulated and flanked by steel paneling on both sides. Ideal for cabins and rustic homes, these doors provide the most safety and security to your home. Thinking of a new front door for your home? 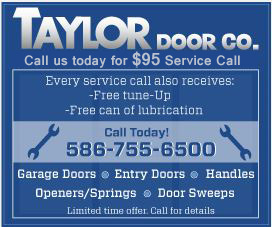 Think Taylor Door Co.! Our range of options has just the style and practicality you’ve always wanted. 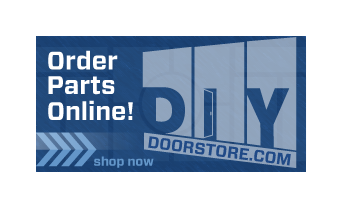 Call us today at 1-800-NEW-DOOR and let a trained professional help find the perfect door for your home.